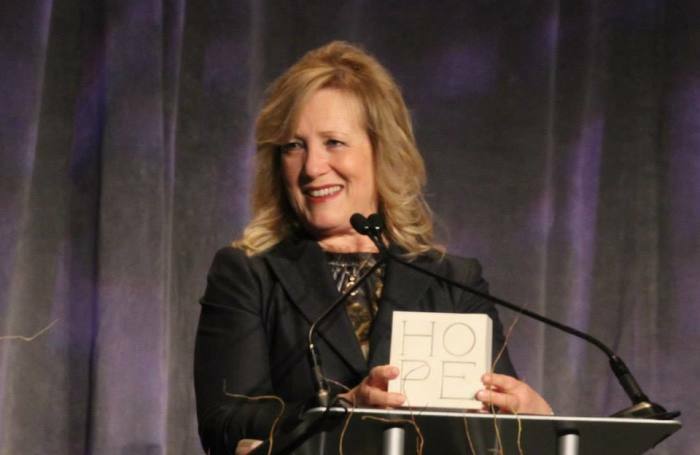 Kay Warren, best-selling author and Bible teacher who co-founded Saddleback Church in Lake Forest, California, with her husband, Rick, said this week that there is nothing in the Bible supporting the notion that Christians who take their own life will be condemned to Hell. And she wants the family and friends of suicide victims to know that. 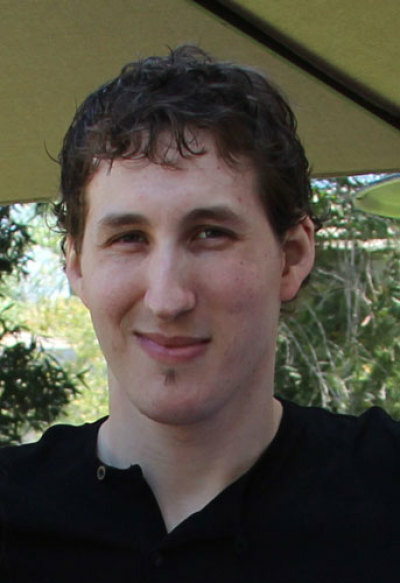 On April 5, 2013, Warren's son, Matthew, fatally shot himself at the age of 27, after a long and private struggle with mental illness that was only made public after his death. Despite longstanding views in many Christian circles that suicide consigns its victims to Hell, Warren believes Matthew is now at peace in Heaven. "God's promised us that Matthew's salvation was safe and secure. Matthew gave his life to Jesus when he was a little boy. And so, I'm absolutely 100 percent confident based on the work of Jesus that Matthew is in Heaven," Warren explained in an interview with The Christian Post. "And that's a certain hope." She said her hope for her son is more certain now than at any time when he was alive on Earth because she was never certain about anything as Matthew struggled with his illness. "I had a very fragile hope when Matthew was alive. I wanted things that I couldn't control. I wanted him to be well. I wanted him to be healed. I wanted him to live a normal life like his brother and his sister, and like most people that I see. Like we do. "I wanted so much for Matthew and almost every bit of it was outside my control. And so my hope was fragile. I couldn't guarantee it. And since Matthew has passed away I've had to rebuild hope into something that is more durable and I'm coming to appreciate that certain hope that Rick talks about. He preached on it just this past weekend. "I have a certain hope that God will make all things right and He will rebuild the ruins of our lives. I'm absolutely certain that I will join Matthew in Heaven because Jesus is alive. I'm gonna live. Those are things that are absolutely certain. I don't have any doubt over them. And so my hope is stronger than it ever has been," she said. Warren, who said she still thinks about her son every day despite more than two- and-a-half years since his passing, noted that while the Church has historically shamed and disowned suicide victims using the Bible, she sees nothing in Scripture to support that culture. "The Church has historically for thousands of years been conflicted about suicide — all the way from publicly shaming the people who did take their own lives, doing terrible things to their bodies in the public square, not allowing them to be buried in the cemetery of the church, being ex-communicated from the fellowship of the church, ostracized, stigmatized, rejected, I mean terrible, terrible things have been done to people who have taken their lives. "And yet, when I look at Scripture, I just can't see any valid reason for that," she emphasized. "I see in John 10 where Jesus talks about His sheep and His sheep know His voice and He knows their voice and nothing can pluck His sheep out of His hand. To me, Jesus answers that resoundingly: 'When you are a believer in me, when your faith is in me as your Savior you can't even take yourself out of my hands,'" she noted. While acknowledging that suicide is a sin that interrupts God's divine plan for a life, she said she wanted to assure families like hers, which have suffered the loss of a loved one to suicide, that it's not an unforgivable sin. "I am completely confident Matthew's salvation was sure. Is suicide a sin? Yes, suicide is a sin because it short-circuits the plan and the will that God has for us. But Jesus died for all of my sins including that one when He died on the cross," she said. "Is it unforgivable? No, not from what I can understand. I think about Romans 8 where Paul says there is nothing, life nor death, nor angels, nor principalities, nor demons, nor things above. Nothing can separate us from the love of God through Christ Jesus our Lord. So I have complete confidence in those who have trusted Jesus for their salvation. That's how they should remain strong and sure and steady," said Warren. "It doesn't matter whether I take my own life or whether I die of cancer, or whether I get hit by a car. If my salvation is in Jesus then it's safe. So I'm really confident and I love to be able to reassure grieving family members who write to me who are very confused or anxious about where their loved one is," she continued. "I don't have any doubt at all from those Scriptures that Matthew is in the presence of Jesus and he is running, he is jumping. He is living with the delight that he never was able to on Earth because of the weight of depression that just took him to his knees. And I can't wait for that day when I meet Jesus and Matthew and I are reunited. I feel so hopeful, with that certain hope that he's gonna run to meet me whole and healthy and in his right mind," she added. And just in case anyone feels she just never prayed hard enough or exercised enough faith for her son's healing, Warren said she is satisfied with the faith journey she traveled with Matthew as he struggled with mental illness. "I don't think there is anything wrong or lacking in my faith. I know that I prayed with the most audacious faith that God would heal Matthew. I had Scriptures and verses. I had verses that other people would send to me and say 'I feel like God led me to pray' this verse for Matthew and they were all about life here and being healed and what God could do through Matthew here if he lived and I think that we have to pray that way," said Warren. "I think that we have to go out on those audacious limbs and pray for things that seem beyond reason, or rationality. That's the dimension of miracles. And that's where I want to live. I want to live in a dimension where miracles happen, and so to do that you have to pray with audacious faith," she noted. Warren said as she prayed for Matthew, her expectation was always grounded in a result where he was alive and well. "My hope was pretty much centered around what could happen here. Rather than taking the longer view of sometimes things don't happen the way we want them to here on Earth," she said. "Yet I can be safe and secure and even joyful with that confidence of what God is doing, ultimately. But that took a while to get to and I would have probably been angry if anybody else had suggested that to me. I needed to come to that in my own journey through grief. Through rebuilding hope. Through trusting God again," she added. And as World Suicide Prevention Day is commemorated on Sept. 10, Warren said while there is nothing that can be done to stop someone who is determined to commit suicide, there are things that can be done to prevent others from getting to the point where they see ending their life as the only option. "If someone is determined to end their life you can't stop them. They'll find a way. You can't watch them 24/7 for years at a time. People will do what they are determined to do," said Warren. "What I want to see happen around suicide prevention is to try to get to people before they get to that place. Is to bring hope to them, to encourage and build their hope before they get to that place where they think 'I can't go on and I'm ending it right now.' What we have learned about suicide is that often, impulsivity meets a lethal means and suicide occurs," she explained.